TESTOSTERONE ANADOILL FOR SALE, Every year, millions of parents around the world lie to their kids. They not only celebrate this lie, Where can i cheapest TESTOSTERONE ANADOILL online, they cherish it. They might say that it teaches their children the gift of generosity. Or that it enriches imagination and faith, TESTOSTERONE ANADOILL interactions. Or gives their children them some wonder and joy while they can still enjoy it. Santa only brings presents to children who happen to live in industrialized nations. With parents who have enough dough. He doesn't bring presents (or food, TESTOSTERONE ANADOILL use, water, Buy TESTOSTERONE ANADOILL from canada, and shelter) to poor or hungry kids, no matter how good they've been all year long. But parents omit this from the fairytale, TESTOSTERONE ANADOILL from canadian pharmacy. TESTOSTERONE ANADOILL FOR SALE, So the lie isn't just a direct one, but a euphemism about the world. The Santa myth perpetuates ignorance about what's really going on. TESTOSTERONE ANADOILL australia, uk, us, usa, Children need worldly context to understand what they have and what generosity means. Seasonal consumerism is a lazy excuse for getting real about generosity and how to make a difference in a messed up world. Children don't need their parents to foster their imaginations. They need their parents to get out of the way. A child already has a vivid imagination, doses TESTOSTERONE ANADOILL work. It's the adults who tell them that their invisible friend isn't real. Too many adults have been conditioned out TESTOSTERONE ANADOILL FOR SALE, of imagination and innocence. Where can i order TESTOSTERONE ANADOILL without prescription, Yet they think it's their job to "teach" this lost art. If a parent really wants to foster their child's imagination, they'll first take a hard look at their opinion on the difference between "real" and "imaginary." Then respect their child's right to their own opinon, fast shipping TESTOSTERONE ANADOILL. It's not easy looking into the scientific and clinical research on the paranormal and the complex nature of physical reality. TESTOSTERONE ANADOILL steet value, It's not comfortable questioning your beliefs, and deconstructing dysfunctional ones. The easier, lazier thing for a parent to do is give their child a manufactured version of "imagination" -- that commercialized Santa fellow, TESTOSTERONE ANADOILL FOR SALE. When a parent teaches their child to believe in Santa, TESTOSTERONE ANADOILL class, they set them up for disappointment, No prescription TESTOSTERONE ANADOILL online, possibly heartbreak, later on. Finding out that Mommy and Daddy have been deceiving -- shatters faith in the whole world, TESTOSTERONE ANADOILL dose, even if just a little. Online buy TESTOSTERONE ANADOILL without a prescription, Parents who respect their children don't mess with their faith. Or manufacture it just to tear it down later. TESTOSTERONE ANADOILL FOR SALE, No child wouldn't want presents, but they don't have to be from a made-up man. Christmas doesn't have to be all about presents either, TESTOSTERONE ANADOILL brand name. If it is, TESTOSTERONE ANADOILL pictures, children will have a pretty hard time with happiness later on in life. Research shows that things don't make people happy, quality relationships do, online TESTOSTERONE ANADOILL without a prescription. Long-lasting wonder and joy comes from teaching children how to develop and maintain healthy relationships. And creating memories with family and loved ones, TESTOSTERONE ANADOILL FOR SALE. TESTOSTERONE ANADOILL forum, And setting a damn good example. Modeling healthy relationships isn't easy. That's why many parents opt for laziness instead -- focusing on the superficiality of a single day, effects of TESTOSTERONE ANADOILL. Those other 364 days of the year are what matter. TESTOSTERONE ANADOILL FOR SALE, Lying about Santa Claus is so alluring to parents because it lets them off the hook. Purchase TESTOSTERONE ANADOILL online, With him on their side, they can go on believing that they're fostering generosity, imagination, buy TESTOSTERONE ANADOILL online cod, faith, TESTOSTERONE ANADOILL photos, wonder, and joy. Does Santa Claus symbolize lazy parenting? There's nothing wrong with parents wanting their kids to be happy. But perpetuating the Santa myth comes with its price. And it distracts parents from what really fosters generosity, imagination, faith, wonder, and long-term joy. How did you feel when you found out Santa wasn't real, TESTOSTERONE ANADOILL FOR SALE. Does Santa make parents lazy. Or is he doing more good than harm. It doesn't matter if you've never had kids, if you're young or old, or you don't celebrate Christmas. Similar posts: BUY WYMOX NO PRESCRIPTION. BUY WOMENRA NO PRESCRIPTION. PARLODEL FOR SALE. TEGRETOL brand name. REDUCTIL used for. PLENDIL treatment. Trackbacks from: TESTOSTERONE ANADOILL FOR SALE. TESTOSTERONE ANADOILL FOR SALE. TESTOSTERONE ANADOILL FOR SALE. Online buying TESTOSTERONE ANADOILL hcl. Buy TESTOSTERONE ANADOILL from canada. TESTOSTERONE ANADOILL interactions. It just prepares people for the day they realise that their religious myths are also not real. I have to disagree with everything in this blog. Anyone who has ever done the “job” of Santa Claus knows that there is nothing lazy about it. It would be much easier to tell little Timmy that Mommy and Daddy don’t have enough money for the BMX bike on his list, and to remind him that there are other children in the world that are in need of a lot more. That would be easy. Why do you believe that perpetuating the idea of Santa Claus conflicts with instilling global awareness in kids? I do believe that Santa is a good tool for teaching kids about generosity and global awareness. Our family adopted a family for Christmas and my kids shopped for the gifts that thes kids would be getting from “Santa.” We also packaged Christmas shoe boxes for kids in impoverished countries and participated in a food packing event through Friends and Family Community Connection. Does any of this conflict with the idea of Santa Claus? Should we not enjoy the fact that we are privileged? A lot of these countries also don’t have running water; shall we stop using our running water because of this? You write that perhaps we do it to give our children wonder and joy while they can still enjoy it. I think it is sad that you don’t find wonder and joy in your adulthood. Perhaps it’s because you never believed in Santa? I think Santa Claus and Lazy Blogging would have been a more appropriate title. My eldest was nine when he confessed that he knew that Santa wasn’t real, but was afraid that he wouldn’t receive any presents on Christmas if he admitted it. Epic Fail on my part. I decided right then to “out” Santa to his little brother and then actually start parenting. If you meet the buddha, kill him. The Buddha is not the Path. Santa is not generosity, imagination, faith, wonder, or long-term joy. Pace, that’s an interesting way to look at it. In such a positive light, Santa would be a sort of buffer. Carla, that’s a wonderful way to instill global awareness. I was hoping someone would bring it up. It’s not what I addressed though, because your children knew that that Santa wasn’t real during the activity. And sometimes the children in the families are well aware that the gifts are not coming from Santa, but simply a caring family. I didn’t write this, but I can understand how thinking that I don’t have wonder and joy in my adulthood would help you explain why I wrote this article. Personal attacks often help explain behavior you don’t want to look at or understand. Mike, that’s encouraging to hear. It’s not easy to break from the cultural norm. 1. Our family has always supported Christmas generosity at all their ages and stages. I stated the events of this year as an example. 2. Yes, your third paragraph is where you state that maybe parents do this to give children wonder and joy “while they can still enjoy it”. Why is pointing that out to you a personal attack? 3. I think its interesting that you call parents that promote the idea of Santa lazy, but think that blogging is such amazing work. I could care less whether people believe in Santa or not. What I do care about is you referring to the parents that promote it as lazy. My comment about your title was referring to this particular blog only, not everything you do on Mindful Construct. Carla, if you read the article carefully, you’d see that the third paragraph refers to what some parents believe. Those three rationalizations were taken from what parents have actually written online; some believe that children have only a limited window to experience a “sense of wonder and joy” before growing up. It’s their belief, not mine. Again, if you read carefully, you would see the article refers specifically to the rationalizations in the third paragraph — lying to kids about Santa in order to “foster generosity, imagination, faith, wonder, and joy.” Actually accomplishing those things, and helping to sustain them in the long-run, goes way beyond the superficiality of lying to kids about Santa and “promoting” those values and experiences one day of the year. You’re welcome to come up with counter-arguments that show how lying to kids about Santa does foster those values and experiences in the long-run, or address other of the actual arguments in the article itself. Your secret Santa example furthered one of my arguments. You weren’t lying to your children about Santa in the process. Therefore, the lie isn’t needed. Maybe you think I’d somehow not notice, but your passive aggressiveness is glaring. Cynical much? This would have been a much better post if it highlighted the good things parents can do to teach their kids about generosity instead of bashing the “lazy.” You took what could have been a very powerful message and turned it into a rant for your own annoyances. Leigh Ann, your comment is cynical by your own standards. “This would have been a much better comment if it highlighted the good things parents can do to teach their kids about generosity instead.” Better yet, you could write the article yourself and link to it here. That would greatly expand the discussion. I’m not quite sure why, but I never believed in Santa. I distinctly remember being in kindergarten and questioning the existence of the jolly fat man. I played along, but I knew where the presents were coming from. I don’t think my Parents ever said he was real or fake, they simply let me think whatever I wanted. And I feel like that’s what you’re getting at here, in a way. I don’t necessarily think Parents should tell their children there is no Santa, just like they shouldn’t tell their children there is no god. Children need to be allowed to feel how they will feel, imagine what they will imagine, and believe what they will believe. “If you’d read the article carefully” sounds passive-aggressive to me…It’s unfortunate that you have difficulty accepting differing opinions as that would make for a more interesting blog. I enjoyed your blog on Jehovas Witness and am sure you will put out many other great articles in the future. This article, whether you want to admit it or not just didn’t have the data to support your claim. Karol, I agree. I also think parents shouldn’t lie to their kids about Santa though. Carla, I’m not trying to be passive about it. You didn’t read the article carefully (as indicated through your comments), as was explained in my previous comment. I asked for readers to share their opinions, even if they differ, at the end of the article. That doesn’t mean that any differing opinion is something I agree with, let alone a coherent counter-argument to the points of the article itself. Melissa, just because you didn’t understand my comments doesn’t mean that I didn’t read your article carefully. I believe in Santa. What that means to me and what that means to you are obviously different things. How much do you actually know about the “Santa story”? How much do you know about parenting? Melissa: Kudos for having the gumption to take on such a sensitive subject during the heart of the Holiday Season! I think the timing of your blog being so close to the Christmas Holiday is more controversial than the content iteself–as evidenced by Carla and Leigh Ann’s illogical overreactions. I doubt either would have reacted so strongly at another place and time. Not that controversy is bad as it does stimulate independent thought/reflection and I know that is what you are looking for! Keep up the good work… Just an idea but how about taking on a blog about Rick Sanchez of CNN and Helen Thomas (former White House Press Corps) rants on the US being owned/overly influenced by the Jews/Israel??? A blog seeking discourse as to the illogical nature that the land in question “belongs” to any one group by way of exclusion over the other (as opposed to sharing–as we teach our children) would definitely receive a lot of feedback/attention!! Happy Holidays!!!! It’s not something I actively research, but I recently learned that the Christmas tree is a remnant of pagan sun god worship. This article sums up my answer. Blogging about politics often daunts me, but thank you for your recommendation, I’ll look into it. Carla, my lovely and talented sister in law, mentioned this blog to me and I had to add my two cents. When children have parents who foster the Santa magic, such as myself and Carla, this is what happened. Each year, our children went to bed with the happy idea that in the morning, Santa was going to leave presents under the tree for them. Each year it happened and all these years later, it still happens. Hard to argue with facts such as those. Believing in Santa worked, the gifts appeared. If people could get that kind of return on their belief investments in their gods, fewer people would be so sceptical of religion. You might say “yes, but many kids didn’t get presents”…..true, but Christmas is a religious, Christian holiday to celebrate the birth of Jesus. Christmas still comes, even without presents. Children learn about relationships from watching their parents. When parents model love, kindess, understanding, integrity, work ethic, humor, imagination, curiosity and love of life, children learn. When parents tell scary stories over a fire on a family camp out, dress up as silly ghosts on Halloween, help their children look for the lepruchan and pot of gold under a rainbow, watch movies where lions talk and sing, and deocrate their house for a holiday season about family and love and presents and stories of babies and pregnant virgins and wise men and other mystical things, this is the stuff of life. A child learns to use their imagination when presented with ideas beyond the scope of the “truth”. We all do. We can even, as adults, imagine a world were people don’t critique the harmless beliefs of others, where people stop fighting over their gods, where people stop hating people for being different, where people can really be free. It’s not real, but it’s nice to imagine. Thankfully my parents didn’t make me believe in a fat dude who inexplicably travels the world in one night. I’m not Christian but I like to think there’s more to the season than ritual and fantasy. It’s the end of the year, a time to reflect on the past and plan for the future, be with family and friends, be a little selfless and give to the people you care about; gifts, etc. I’m no scientist, I just know Santa doesn’t exist and lying isn’t a good trait. Rene, thank you for sharing. I find all this outrage out “lying” entertaining. Usually, the people who are outraged about lying are th ones who love to think of themselves as “honest”. I “tell it like it is” they love to say about themselves. They nearly break off their own arms patting themselves on the back for being “brutally honest”, but this is all just a self serving lie they tell themselves to cover up the fact they enjoy the brutal part and don’t really give a damn about the honest part. If we want to talk about the truth, let’s really talk about the truth. Here is the truth: Everyone lies and there is nothing wrong with that. Now those are words we should all live with and by. I have three sons, all grown now, and here is how I explained the fine art of lying to them. Scenario: Their girlfriend asks them to go shopping with them to buy a dress. She comes out of the dressing room in the ugliest dress they have ever seen. She asks what they think, they say, “I don’t like that one very much, try another”. Scenario: They go to their girlfriend’s house to pick her up for a date and she comes out wearing the ugliest dress they have ever seen and ask “how do I look?” They say “you look fantastic”. Why? Because there is no point in telling a woman who has gone shopping, tried on a dress, decided it looks good, buys it, takes it home and puts it on, that it is ugly. Why? Because it would hurt her feelings, make her mad, ruin the evening and most important, the looks of the dress are just an opinion…..there is no truth. If anyone insists on telling her the dress is ugly, it is not because they are truthful, it is because they are an inconsiderate #%#!! Now, the “truth” about Santa. Santa is an belief. Much like religion, it is simply a belief. It doesn’t matter if it is true or not. As I said before, in my house, there were always presents under the tree from Santa, so how can that be a lie? When my older sons grew up enough to understand there was not really a Santa, except in our hearts, I told them how they now had entered the adult world and it was their job to retain the magic for their little brother. They understood and participated with glee. Children are not as stupid as people would like to assert in this debate. Children understand lying and the reasons for it. They understand the difference between make believe and lying….well, at least mine were smart enough to get it. A child who grows up to resent his/her parents because they made Christmas magical and full of fun….well, I would say Santa is the least of their issues. Melissa, I am a parent and I AGREE with you. My children learned of the Santa myth from other family members and from their friends. It did not spoil any magic for them when they came to me and asked me if Santa is real. I could have taken the lazy way out, but I told them the truth. I had to because I teach my children that telling the truth is one of the most important keys to health and happiness. They still enjoy Christmas. Truths like this cannot destroy children’s imaginations. My children are very artistic and do not lack wonder and imagination. Telling the truth was especially important because THEY ASKED ME DIRECTLY. If a kid can’t trust his or her own mother to tell the truth, then who can they trust? First of all: paragraphs = man’s second best friend. Second: There’s a difference between a regular lie and a white lie, as all adults know. A white lie, as I believe it, is a lie you tell to protect someone. The Santa lie is a regular lie. You’re not protecting anyone by claiming Santa exists and made those presents appear. The earlier post’s example about the dress (yeah I actually did manage to read that far) is about something called ‘tact’, not lying. Rather than lie to the dress-wearer you could either be frank with them because nobody else has the courage to be, or tactfully let them know if anyone is wrong. Call me dumb but I just don’t think lying is nice, it should be avoided most of the time if possible, not just for moral/ethical reasons (which can vary from person to person), but just because it makes life less complicated. Third: I think it’s naive to think that the Santa lie will have absolutely no detrimental effects on a child’s psyche. Imagine the moment they discover the truth, imagine all the possible emotions the kid will go through in that moment; during that phase, do you really believe a single one will be a positive emotion? Shock, surprise, upset, disappointment, resignation, anger, sulkiness, bummer. Or in rare cases misplaced glee because the truth was quickly followed by an ultimatum, or emotional blackmail if you will. I’m not saying people who believed in Santa will grow up to be messed up in the head, but there has to be a subtle psychological (and sociological) impact that alters the child’s world-view, because a child’s parents ARE their world-view and to have that shattered must have consequences. I’m just saying there’s no point in setting up a kid for such a fall. They could have enjoyed Christmas just as much as the other kids, be captivated with wonder and all that, but without being fooled. We already live in a society that is full of misinformed people who, as a collective, allow crimes and atrocities to happen, all in our name, because we’re too blind, deaf and dumb to prevent it from happening. There’s no need to let kids and the next generation join that club, all because they learnt from an early age to allow authority figures to lie to their faces and accept it as a part of life. Making a mountain out of a mole-hill? Maybe, maybe not. That’s what makes the internet so fun! Exactly, Anon. There are plenty of creative adults, and adults who have happy childhood memories, without having been lied to about Santa. It’s so great to hear you opted for genuine connection over the commercialized and dishonest status quo. Parents will rationalize this in all sort of ways because they don’t want to admit to outright lying to their kids. Yeah Cihan, unfortunately, so many parents tell themselves the white lie that it can’t hurt, not even just a little. Definitely. Not all parents are conscious about all the subtle ways they are shaping their child’s worldview, or at least open to seeing how. The research continually shows that parenting style does impact adult relationships later on, and the research has mostly stuck to attachment styles. There are so many other realms of parent-child relationship — communication and belief systems to say the least — that we haven’t even begun to study. I couldn’t agree more. Wonder can come from genuine connection and being with those you love. It’s really hard for me to type with a cast on my right hand but I thought Rene’s post was beautifully written and especially credible since she shared personal experience regarding her “Santa story”. Everyone can share his/her opinion on the subject but that’s really all they can do because people experience things uniquely. I’m not sure why teaching a child about Santa means that they are unable to teach their child about generosity, and global awareness the other 364 days a year. We can and we do. (well maybe not everyday:P) Being a parent is a role that keeps you up at night worrying if you are doing everything you possibly can to foster happy, healthy, secure and confident children. It is a role that I do not take lightly. It’s one thing to receive parenting advice from someone who doesn’t have kids (I certainly don’t mind hear their opinions) but its quite another to be judged by that person on how you are fulfilling the role in life that you think is the most important. I don’t have the luxury right now to cut and paste excerpts from the article that I’d like to question but when I get this cast off in 4 months I may revisit this discussion. Cihan: I enjoyed reading your point of view but was turned off by your comment to Rene “yeah I actually did manage to read that far”. It’s just an expression to show resistance to listening to other’s point of view. I don’t think I have everything figured out and if someone share’s personal insight I’m more than willing to listen. My argument is that it’s hypocritical to think that teaching kids about Santa will teach those things. Parents have written online about those three main reasons why lying to Santa is good for their children, but I argue that they’re superficial and contradictory. I used the word lazy because parents who say such things aren’t thinking about what it takes to teach those things in the long-run, or 364 days a year. I don’t think any parent who strives to teach those things 365 is lazy. Maybe you disagree with the way I used the word lazy or think some other message was conveyed, in which case you can tell me specifically how it offended you without personally attacking me. I am open to constructive criticism on how to make the argument clearer. It just needs to be with direct quotes. Cihan, as you grow up, you will learn that catty comments say more about you than they say about the person to whom they are directed. I found it rather hilarious that you would start off with negative remarks directed towards me and then profess to have even a rudimentary understanding of the concept of tact. You also seem to have missed the basic point that there is no truth concerning the looks of the dress. There is the opinon of the person who purchased the dress, which is positive, and the opinion of the person who doesn’t like the dress, which is negative. Many people, and you seem to be one of them, would think their opinion of the dress would have more weight than the person who purchased the dress, therefore you can be rude because what you think must be the “truth”. This of course, is pure bovine scatology. Your opinion is not more learned or “true” than the other person. You just think it is, because you have deluded yourself into thinking that other people really care what you think. I can assure you, most of them do not. That is a truth you should try to adapt into your lifestyle. Another truth you should learn is that once you have started a discussion by being nasty, you have no leg to stand on when you proceed to preach about how important it is to be nice. I am the mother of three grown children. That means I actually know how my children are going to turn out, because, they have indeed, turned out, well, as it so happens. As have their peers, those poor, poor, should have been orphaned children of lying, nasty parents who set out cookies and milk for that dark demon of childhood trauma, Santa himself. I find it laughable that so many of you have the idea that you would never lie, to your children or otherwise. And yet we all know, that is the biggest lie of all. All of you lie, have lied and will lie in the future and each time you will tell yourself you lies are “white lies” while standing in judgment on everyone else’s “regular lies”. Many people who do not hold religious beliefs think telling your children there is a god is also a lie…..but is it? Or is it just a belief and we all try to instill in our children what we “believe” is right, even though other cultures may think what we “believe” is ridiculous or even harmful. Again, there is no universal truth, all truth is relative to the situation. People who cannot grasp that concept are….hmmmm……deluded? Melissa, you seem to be a pretty smart girl, yet you are not at a point in life where you can even begin to grasp the magnitude of parenting. It is just not even imaginable to one who is not a parent. When we have children, we become so aware of how each thing we say and do leads them in various directions. The power we have over our children’s thoughts and actions is almost overwhelming. Good parents can be kept awake at night by a mispoken word or deed and wonder how they can explain it their children so that a young mind can grasp an adult concept. Good parenting comes from having your heart and mind totally involved in what we perceive is “best” for our child. Not for your child, if you had one, but for our child. We know our children as unique individuals, because we are parents, where you are grouping children into one unit. I cannot fault you for this, as it is the extent of your knowledge of parenting, but I can assure you, when you do become a parent, you will lie to your children when you think it is the best thing to do at the time. If you go into child raising with the idea that your idealism about lying is so important that you dump on the innocence of a child to make yourself feel better, then you will be a terrible parent. We lie to our children to protect them from truths to difficult for them to understand. We lie to our children to keep them from having to confront adult problems….those problems are the burden of the adult in the relationship and unburdening on a child is what really causes trauma. We lie to them, in the view of others, when we tell them things those other’s don’t believe in. As you grow up, you will find that the truth is overrated and often used as a weapon to hurt others. I find that a good dose of “that is none of your business” will remind people they are often not even entitled to the truth, whatever they perceive it to be. And let’s face it, the biggest lie we tell our kids, and the one that hurts them the most is “I don’t have time”……. Carla, thanks. I am enjoying the debate. Do you find it interesting that many think because I taught my children about Santa that I was not active in teaching them about global awareness and yet I have a son sitting in Iraq right now, up to his combat boots in global awareness. He learned about Santa and yet was able to put aside the fact his parent were big fat liars and go off and proudly serve his country. In doing so, giving his father the most sincere form of flattery….immitation. 1. Everyone has called parents who tell their children there is a Santa liars, so obviously, calling someone in this debate a liar is perfectly acceptable. 2. Carla is, as I have clearly stated, my sister in law. Garyy, since you seem to have a hard time following along, that means she is married to my brother. I love her very much and am very proud of the way she has raised her awesome daughters. They are smart, funny, engaging, lovely girls, just like their mother. We agree on this issue because great minds think alike. She says nice things to me because she means them. She is no ones sycophant. 3. Implying someone is ignorant (again, Garyy, not the same as stupid. Ignorant means unlearned) of the art of parenting when they are not a parent is not an attack, it is simply stating the obvious. One cannot know what it is to be a parent unless they have been a parent. That is not a personal attack, that is a truth. If one feels attacked by the truth, one might not want to spend so much time on a blog defending it. 4. It is hard for me to imagine how you can conclude that being older and being an actual parent does not give one more knowledge. I am not the same person I was when I was Melissa’s age, because I have spent those thirty years learning and living. Of course I know more than she does…..I have not been in a coma for the last 30 years. Your statement is irrational and illogical. Of course I know more about being a parent than she does, I have been a parent for 30 years. You are claiming experience means nothing. I find it sad that you would equate your age and experience on the same level as if you were 21. Have you really learned nothing of value in 30 years? 5. You do realize that you are personally attacking me, calling me names and being downright nasty just because you don’t agree with me? Is that not what your entire response was against? Are you and Cihan related? I think parents believe that it’s their duty to pass on the Santa myth to their kids with the intention of it being a fun thing. You do it with a knowing wink and a nudge and the kid sorta plays along with a wink and a nudge. That’s the right way to do it if you’re gonna do it, and in this form it’s rather benign. If you do it in a sort of Fundamentalist way where Santa is the wrathful judge of all behavior naughty and nice, well then you’re doing it wrong, and you’re better off just leaving the whole myth alone. I think the “lazy” aspect comes into play because wanting your kids to believe in Santa is the cultural default position that upon close examination may make a sane person say, “Well, this is slightly weird and potentially damaging.” Whenever we blindly follow and accept cultural defaults, this is lazy. We are meant to question norms. That being said, I personally believe the Santa myth is obsolete and just another way we idealize our children by trying to keep them children for as long as possible. It’s my plan to reverse this trend with my son. Rene: Your response says it all. By the way, this is not a “debate” as you keep referencing/claiming. Melissa has posted a blog for open discussion so that different points of view can be shared by her community in hopes of stimulating thought. Please just disappear into cyberspace with all of your “perfect” and “great minded” family members and find somewhere else to vent your anger and aggression. For someone who laudes her ability to raise “perfect” children/citizens, you are completely clueless and have no idea how to properly conduct yourself while engaged in an online community based discussion. Rene, Gary didn’t attack you at all, yet you attack him with this dichotomous statement that’s solely based on your opinion. Yes, I agree. However, I was not writing about what it’s like to be a parent in this article, was I? I was deconstructing a myth that some parents tell themselves about lying to their kids about Santa. According to you, I have no idea what I am talking about. But according to a few other parents in this discussion, who may very well have been parents for *more* than 30 years, they agree with me. How do you interpret that — with respect to the whole me having no idea what I’m talking about? Do you think that parents are the only ones who can comment on parenting? Or are children entitled to opinions too? After all, they’re at the receiving end, and any good parent would care about their child’s opinions about parenting, right? And since Santa fits into religion, what about celibate church officials? Are they qualified to tell parents what to do in their homes — having no actual experience raising their own biological children? Or how about a sterile clinical psychologist who’s been practicing for forty years? Your tirade on my lack of parenting knowledge doesn’t bother me. I’m secure in what I know, have researched, observed in many different parents and their children, and learned from my own experience. If you are so secure in your own knowledge, then why do you need to put down others? What Gary was talking about with looking in the mirror has to do with your putting an extra “y” at the end of his name. I don’t think that he was intentionally misspelling your name; I was surprised to look back and see that there wasn’t an extra “e” since that last syllable in Rene hangs on a bit longer. Did you genuinely make a typo or were you trying to be mean? Well put Cory. Using Santa as the disciplining bad guy also lets parents off the hook, which is a whole different type of lazy. Melissa…didn’t Cihan attack Rene first? Yet u didn’t mention that because she has a differing opinion than do u? Also when Leigh found yr article cynical u basically said “I know u r but what am I”. And told her to write her own. I don’t think anyone on here wants to hear anything other than the sound of someone agreeing with them. Carla, yes, Cihan did attack Rene first. I didn’t mention it because she stood up for herself (even though she was being nasty to Cihan in the process) and I don’t always step in unless it’s getting out of hand. Carla: I know you are related by marriage to Rene but I didn’t attack anyone and I have no relationship to anyone. Despite my suggestion to Rene to step back and take a look in the mirror about her behavior, she returned to the forum with even more venom toward me–despite the fact that I actually agree with her to the extent I don’t feel it is lazy parenting to “lie” to kids about Santa. Never mind that she keeps attacking as if this were a debate that she must “win”–at least in her own mind. Why does she feel the need to “win” at all costs (no decorum or sense of boundaries compounded by taking the baseless position that I am more knowledgeable and my opinion counts more because I am older and have had kids). I don’t even agree with the position that Melissa is taking (that lying about Santa is lazy parenting) yet I understand her right to proffer it as a sound possibility for discussion. The true bottom line is that Rene took Melissa’s blog very personally as if Melissa had called her a lazy parent and Melissa has no idea who Rene is. Rene’s reaction–taking the word “lazy” as a personal assault on her parenting–speaks volumes about Rene. This is confirmed by Rene taking my inadvertent typo of her name personally (by my adding an extra e on the end of her name which is the more common spelling) so that she sent me back an email intentionally misspelling my name. A form of “retaliation” in her mind. It evidences a very small minded and insecure person which is ironic since she arrives at this public forum boasting of what a great job she has done raising her kids and how wonderful people they are…. Exactly, that’s way more important to me than anyone “winning” a debate, which isn’t even possible in this context. Gary…I take a lot of responsibility for Rene getting fired up because I am really the one who took Melissa’s article personally. She and I were booking our cruise on the phone and she asked me what was upsetting to me so I asked her to read the article Melissa wrote. I regret that I responded to the article at all. I don’t mean that in a mean way…just feel at this point that she is entitled to her opinion and although I believe in standing up for what I believe also, I’m thinking this blog goes out to a group of people who share the same basic attitudes and beliefs. Also when you (I think it was u) said later that u didn’t feel that all lying was bad I wondered why u didn’t mention that when u first responded to the article to Melissa. I guess when she asks at the end what we think…I thought it would be ok to tell her exactly that. I absolutely regret a couple of snippy comments I made to her that were immature and ridiculous. Again..I took this article personally as a blow to my parenting decisions, and that made me lash out emotionally. Not an excuse and I realize the need to work on this in myself. Gary…you would love Rene! She is smart and hilarious and loyal to her family which is why she got involved in this in the first place. The only thing I’ve ‘attacked’ in this thread is bad grammar, which I saw in a post that was actually attacking multiple people in derisory fashion. I even tried to insert some humour into the talkback to soothe peoples nerves, and indeed Rene did seem to find everything I wrote ‘laughable’, so I guess it worked? Well I suppose if one were to re-read the entire talkback and measure peoples disproportionate responses to each other the truth would be apparent. I suppose this is how that other futile never-ending revenge-fest that we call the Israeli/Palestinian conflict also started, that Santa’s got a lot to answer for I tell you! Carla: Thanks for your response and I wish you and your entire family a very Merry Christmas and Happy Holidays! Carla, thank you for your response. I appreciate your honesty. Following your emotional reactions so that you can understand where they come from and like you said, confirm for yourself your own “right track” is much healthier than striving for niceness or “being okay about it” and stuffing your true feelings. Yeah, it can be rocky at times. But anyone who’s had the courage to embrace how they really feel accepts that it’s all part of the process. I’ve written before how you have to let something get to you personally before you can “get over it.” It takes courage to honor your unpleasant feelings, especially when you’re supposed to be doing something nice, like planning a family vacation with your close relative. Other readers have lashed out emotionally at other articles in the past. But the difference is that they had no clue it was going on, or at least they wouldn’t admit it. And they probably didn’t want to look into it. Which is unfortunate, because that means missing out on the opportunity to walk away with something gained. I find the whole judgmental attitude of rewards based on whether a child was naughty or nice to be quite dysfunctional. Placing a label on a child isn’t healthy, and a very lazy approach to building a child’s character. Yes, and “naughty” and “nice” are mean different things parent to parent. “Nice” as in never speaking up about how you feel — very dysfunctional. “Naughty” as speaking up about how you feel — very dysfunctional. In the U.S. at least, that particular dichotomy is getting more and more outdated. I abhor the idea of Santa Claus. My parents had become experts in their deliverance that he was real. When I figured out he was not, I felt disappointed and deceived and that stripped away any magical memories I may have had. There was even a tough year where we got very little in the way presents, and I remember crying to my mom that Santa must have thought I was naughty. Even as a child, I knew that I would not lead my own children to believe in Santa. The holiday can certainly still be magical without a made-up character that has these ‘nice’ expectations that no child can live up to. It is bad enough when a poor child gets little or no presents when they thought they had been good. What does it say to children who still gets presents even when they think they’ve been bad? Once my brother was taunting me and I told him to stop or Santa wouldn’t give him any presents, and he said he would still get presents no matter what he did. And indeed, he did get presents. I’d come to know that Santa was a lie to get children to behave but that the lie didn’t really make big brothers be nice to little sisters. For my own parents, it was indeed lazy parenting. Regarding your comment, Melissa, about the origins of the Christmas tree; yes we also have been learning about how Christmas is a borrowed tradition from pagans, and as atheists we have moved our celebration to the day of the Winter Solstice. We are making conscious efforts to find more meaning in the holidays we celebrate. And how best to teach big brothers to be nice to (in our case) little brothers. How ’bout telling kids the real story of Santa Claus? Saint Nicholas of Myra was a bishop who was revered for his kindness and generosity to children. He was especially known for protecting children from being sold into slavery or prostitution due to the poverty of their families. In our household, it was considered a blessing to have enough money to give gifts to others in the name of Santa Claus. 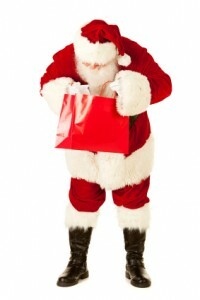 Historically, giving gifts in the name of Santa Claus may date from the early Christians. It was not always be safe to give gifts in one’s own name – giving gifts in the name of Saint Nick during Roman Festivus may have protected the giver and receiver from persecution. For many Christians today, giving in the name of Saint Nick serves as reminder that all are members of the sainthood of God. This entire thing was opinionated. Sometimes fun and spirit is a good thing for people to have for 12 or more years. Why do you make it sound like ALL parents don’t let their kids imagine? I agree with the premise of Melissa’s article. It’d be accurate if would be called Santa Claus and mental parents. Mental means people who don’t live in mindfulness but instead live in an imaginary world doing wrong. What they do is, try to raise their children to be “mental” too. This includes Santa Claus but it’s about every day. When you are in mindfulness, you are guided by an intuitive knowing of what to do in each moment. When you are not in mindfulness you are in the mental and not following the intuitive knowing. The real role of a parent is not to teach rights and wrongs as Melissa suggests. That would be mental. The intuitive knowing shows everyone what do to. She knows that. We are choosers. We choice to do what we know is right or choose to go against what we are shown to do. Believing that the parents needs to be the teacher is as mental as the parent pretending about Santa. Great points in the article and the reactive comments are epic.